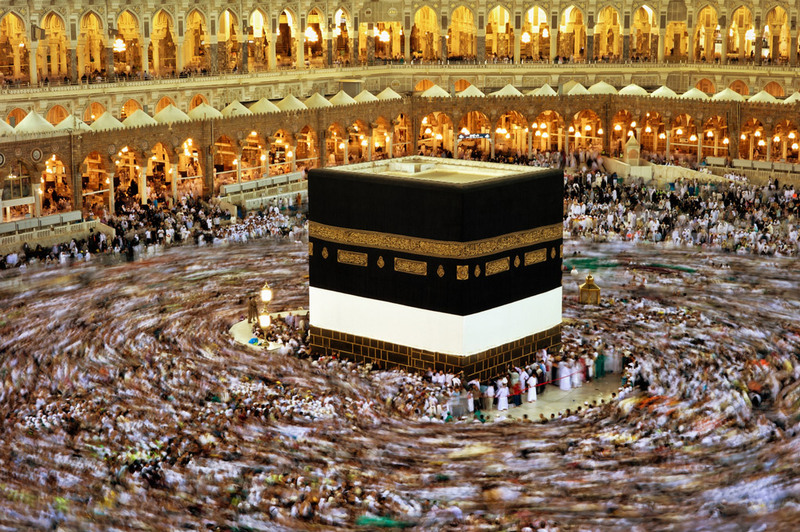 Zamzam (Arabic: زمزم‎‎) is a well located within the precinct of Masjid al-Haram in close proximity to the Kaaba. 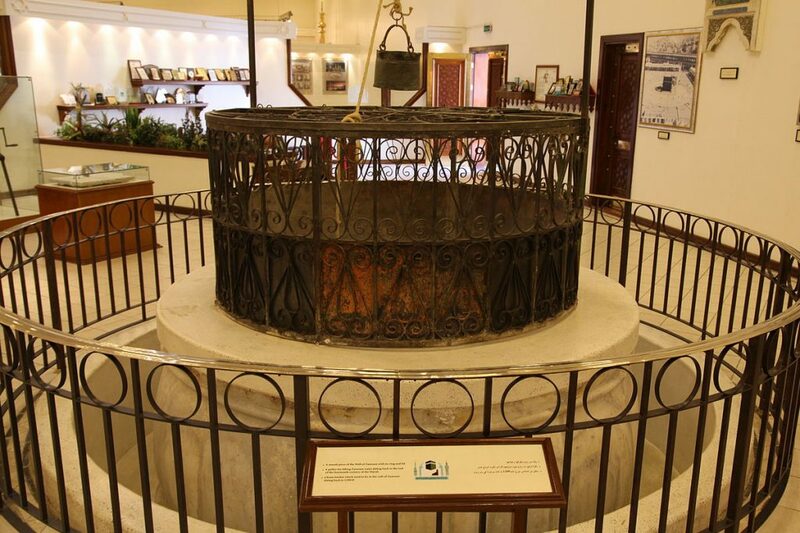 The entrance to the well was closed in 2003, making it inaccessible to pilgrims, although Zamzam water can still be consumed via dispensers throughout the Haram. 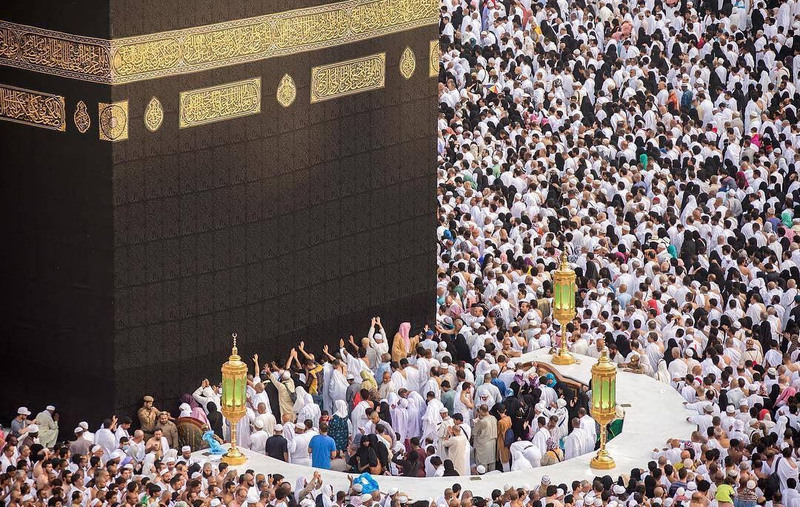 Hijr Ismail (Arabic: حجر إسماعيل; "Stone of Ismail"), also known as the Hateem (Arabic: الحَطِيم), is an area adjacent to the Kaaba enclosed by a semi-circular wall.